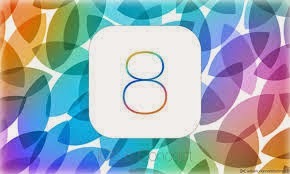 Apple revealed iOS 8 with new set of features at its Worldwide Developers Conference. The new version will come for iPhones and iPads with all new features and functionality. 1) Interactive notifications:- When you are indulge in an activity and you are not bothered to switch apps then you can pull down from that notification shade and respond right from the same place. You can also like/Comment on Facebook messages or handle your calendar events. 2) improved mail:- You can easily tag or dismiss certain missives without even having to open them up, and all it takes is a quick swipe on the contents of your inbox. 3) Spotlight:- The company made a big to-do about how much better Spotlight is in OS X Yosemite, so it's only natural the iOS version gets an upgrade as well. Among other things, it'll let you search for apps you haven't even installed yet, songs in the iTunes store, movie times/locations and more. Media isn't the only focus here, though. It'll also show directions to locations you type in, as well as news results. 4) Quicktype:- Finally end to all the “ducking” typos going on out there. iOS is getting an improved on-screen keyboard. In short, we're looking at an upgraded recognition service that can more accurately predict what it is you're trying to say. 5) imessage feature like whatsapp:- Whatsapp like features in iMessage where you can send audio and video messages from within the app. In respond to one of those audio messages right from the lock screen if you just raise your iPhone to your face. iMessage even has a little touch of Snapchat in it now, as you can set those particularly sensitive messages to self-destruct after a certain period of time. 6) Continuity:- The newly announced Continuity between iOS and OS X where you'll be able to pick up and initiate phone calls from within OS X, even when your iPhone is across the house. Is someone calling you? You'll get a caller ID notification, and a quick touch lets you use your Mac as a speakerphone. And if one of your non-Apple pals shoots you a plain ol' text message, your iPhone will relay it to all your other iDevices. 7) Health Kit and the Health App:- A constant tracking of your health meter is given from this kits where Nike can provide access to your fitness and activity data, and the Mayo Clinic hopes to get actual, real-time health information from patients through HealthKit. And for you, the end user? You'll be able to keep tabs on the measurements of your health and body fitness. 8) Family sharing:- With this feature you can share a single calendar, app and content purchasesWith its new Family Sharing push, those even smaller groups (up to six people, if you were curious) can share a single calendar, plus app and content purchases. If you're a parent and your lil' whippersnapper has an affinity for buying things from iTunes with your credit card, well, never fear. Once connected, those young ones will be told to seek your permission and you'll get a notification on your phone to that effect. 9) iCloud Photo Library:- keep your selfie and photos in one library from any of the device to live iCloud. Does your selfie needs an editing or touching up then well yes you can edit those photos also. 10) Smarter SIRI:- Siri," and the virtual assistant can listen to music and identify it (thanks to a little help from Shazam). In case you happen upon something you like, you'll be able to download that track right from Siri's results page.